Latin for “let the buyer beware,” caveat emptor is a contract doctrine that puts the burden on the buyer to make a reasonable examination of a property prior to purchase to uncover any defects that may affect reasonable enjoyment of property, and further puts the onus on the buyer to take responsibility for its condition once the property has closed. In any real estate transaction, it is a given that a seller knows more than a buyer about the condition of a property. Because of this, the Georgia Association of Realtors requires all sellers to complete a seller’s disclosure that should identify any defects in a property that are known to the seller. The good news is that the overwhelming majority of sellers are completely forthcoming in the disclosures concerning any known defects. The tricky part comes in when the seller may not be aware of any defects or the fact that a situation may even constitute a defect. After all, they may have lived in a property for years with no problems at all blissfully ignorant of the fact that something may be in flagrant violation of current building standards. 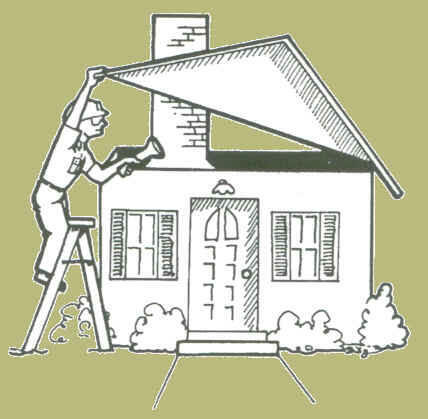 That is why a prudent buyer should always request a complete home inspection from a reputable home inspector, one who has taken formal training and has received certification from ASHI (American Society of Home Inspectors) or GAHI (Georgia Association of Home Inspectors, which incorporates all the ASHI standards). A formal inspection should encompass the various home systems: HVAC, interior plumbing, electrical systems, as well as the roof, foundation, walls, ceilings, doors, floors, basement and other structural components. Think of it as similar to a complete physical check-up when you visit your personal physician. Once the inspection has been completed, the inspector should provide you with a complete report laying out in detail the condition of all the major components of the structure: what condition they are in, if any repairs are necessary and, if so, what they are. Better inspectors will give you a ‘triage’ list of the items, prioritizing those items that require the most urgent attention down to those that can reasonably wait until a later date to be ameliorated. A good inspector will also point out those items that were built or installed that exceed current building standards. Some buyers can be frightened off from a perfectly good home if all they get is the bad news, while the house may be overall in great condition it’s just that no one has taken the time to point that out to them. The cost of a good home inspection can vary depending on the inspector and the size and intricacy of a home’s components. An average is typically $350 – $400; but, again, the price is dependent on a multitude of factors. Once you receive the inspectors report, it is up to you to decide which items, if any, you want the seller to repair/replace, and which ones you can comfortably live with for the time being. Once you have made that decision, your agent will let the seller know what items you wish to have addressed. At this point, it is up to the sellers to decide what they are willing to fix and that can range from everything to nothing. Usually, what a seller is willing to have repaired is in direct proportion to the sale price agreed on for the house. If the seller has accepted what they consider to be a very low offer, they will more than likely be less willing to make repairs. If, however, they feel that a price that is fair to both buyer and seller has been arrived at, they will typically be more reasonable in accepting the responsibility for repairing items. Throughout this process your Realtor® can be an invaluable asset, not just in supplying you with a list of reputable, reliable inspectors, but also in helping you navigate the process of going back to the seller with your wish list of repairs and getting the most cooperation out of the seller throughout the process. Let the buyer beware, but let the buyer not be scared.